DT Swiss Champion 292 мм 32шт. DT Swiss Champion 294 мм 32шт. DT Swiss Champion 258 мм 32шт. DT Swiss Champion 290 мм 32шт. DT Swiss Champion 266 мм 32шт. DT Swiss Champion 262 мм 32шт. 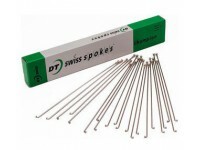 DT Swiss Champion 264 мм 32шт.